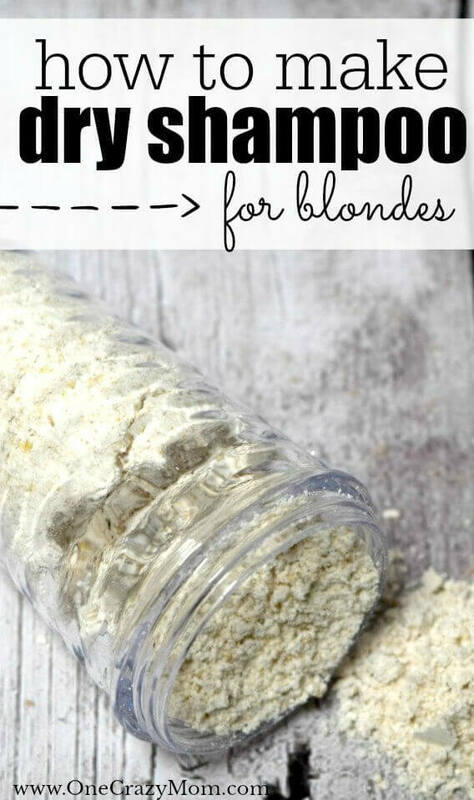 This DIY Dry Shampoo is ideal for blondes and brunettes and will soak up any excess oil in your hair. This is definitely my go to solution when I’m short on time and it’s so easy and affordable to make. When you’re a busy mother, college student, or even a teenager there are times you wake up and you just don’t have time to wash your hair. There are often times I wake up and have 10 minutes to be out the door and the last thing I have time for is to wash and blow dry my hair. Dry shampoo is the solution to dirty hair. I know some people have used baby shampoo but I like to use cornstarch and this DIY recipe. You can also add essential oils to the DIY shampoo. Can you make your own dry shampoo? Yes! 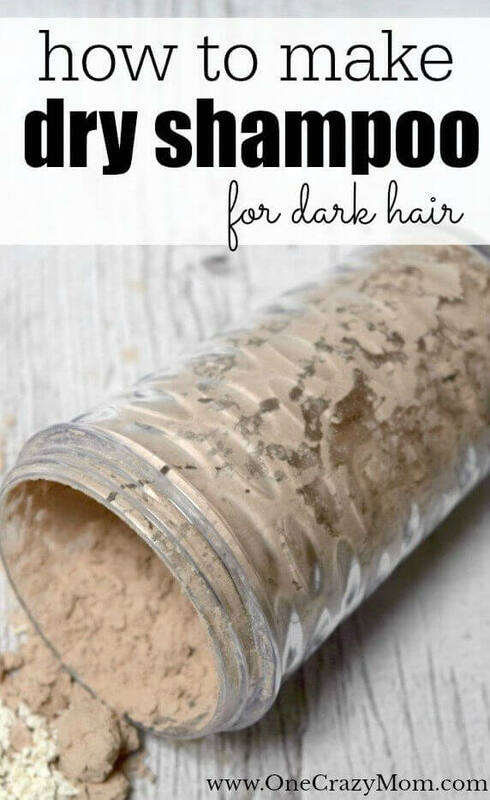 This diy dry shampoo recipe is perfect for busy mornings. Dry shampoo is one of my favorite hair products. It really does the trick to absorb the natural oils in your hair. I think it works better and leaves hair smelling so fresh and clean. It truly has changed my morning routine around here. It’s saved so much time and helped with the chaos of trying to get ready when you don’t have much time. Some mornings are just crazy and mom’s often get pushed to the back burner. This trick will help you still look put together in very little time. Another trick of mine is one of these Easy and Cute Bun Hairstyles for Busy Moms. I’m all about making life easier! What is dry shampoo and how to use it? It’s perfect to freshen hair in a pinch when you don’t have time to wash and blow dry it. Whether you have light hair or dark hair, it works great. It will leave your hair looking great and smelling fresh. I like to apply with a makeup brush. This allows you to really get the roots of your hair. I just dab a little to my scalp and hair. It’s the perfect solution for oily hair. I think you are going to love this trick for busy mornings. It’s a time saver for sure! 1 Tbsp Corn Starch or Arrowroot powder. Pour your cup of oatmeal into a blender and pulse a few times to get a powder consistency. Now in a small mixing bowl pour in your oatmeal and your corn starch and stir the ingredients together. Spoon your dry shampoo into the container and you’re ready to go. I like the shorter 4 oz jars because it’s easier to get the dry shampoo out to use. Plus, you can reuse the jars which saves even more money! In a small mixing bowl all in your unsweetened cocoa powder and your corn starch and mix both the ingredients together. Once blended well spoon the dry shampoo into your container container and it’s ready to use. To apply the dry shampoo in either color just sprinkle a bit of the dry shampoo on your roots and rub in with your fingers. The powder will absorb into your roots soaking up the excess oil sitting on your head. Plus I love the hint of the cocoa powder on my roots – makes me feel so refreshed! Brush your hair and you are ready to go! It’s such a time saver! You can also use a make up brush to help get the powder into your roots without getting your hand messy. This really is a fool proof way to use dry shampoo without paying a fortune. The makeup brush allows you to really get to the scalp and to the roots to absorb the excess oil. It’s such an easy way to freshen up your hair quickly. In the past, I have paid anywhere from $3 to $9 for a spray bottle of dry shampoo. This adds up quickly! Now you can make this homemade dry shampoo for pennies instead of dollars. 🙂 Sounds good to me! I’m always looking for ways to be save and spend smarter. Let us know how you like this dry shampoo! It does not disappoint and I think you will just love it. We have been saving so much money making our own products. We recently learned how to make makeup remover. It feels so good to add another all natural product to my list of things I am using now. We have made The Best All Natural Cocoa Butter Lip Balm, DIY Body Lotion , DIY Bath Bombs Recipe and many more! I love being able to control what goes into our products. No worries about chemicals or additives. You can also make DIY Face Moisturizer with ONLY 2 ingredients! Your skin will feel wonderful! Plus, it has really helped our budget. All of these beauty products can really add up. Making your own products saves money and allows peace of mind knowing it’s all natural. You might also like one of these Cute Bun Hairstyles! Oh my! Your recipe is heaven sent! Dry shampoo would always leave a white cast on some of the strands of my hair. Thank god for this recipe! I wouldn’t have to worry about chunks of white solids forming on my scalp and hair strands! Thank you!! I’ve been looking for a good dry shampoo that doesn’t break my budget and even tried a few but they were awful. This sounds perfect! I have dry hair and washing it every day makes me look like a Q-tip head! lol Happy fall! 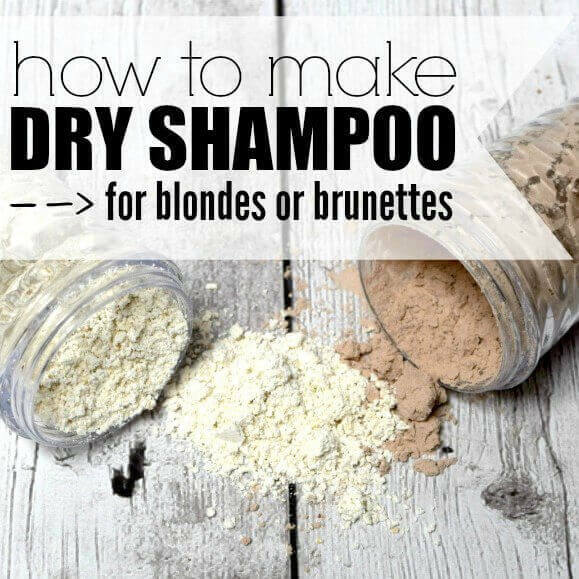 I’m excited to see a DIY dry shampoo! One more reason to do this is the commercial dry shampoos are highly flammable! Look for the warning on the label…it warns you not to get your hair near an open flame! Oh wow – I didn’t know that. Thanks for sharing Deborah!